There are plenty of VR headsets out there and choosing the best VR headset for your iOS device can be a little tricky, this list is going to simplify all the thoughts and confusion that you might have when it comes to choosing the right VR headset for your iOS device. Now, there are many VR headsets that are iPhone compatible but the apps might be limited. However, since there is a lot of Google Cardboard compatible content out there, even when you buy a VR headset which does not have great dedicated apps then you could always turn to apps for Google Cardboard as it has a lot of content. 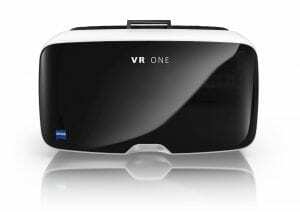 However, quality of VR experience is something that one should definitely consider while getting a new VR headset and hence the recommendations here are dependent on the quality of the VR experiences provided by these VR headsets and then we would even see how good are the dedicated apps on these VR headsets. Merge VR is one of the best VR headsets we have out there and it is the best VR headset for your iOS device. 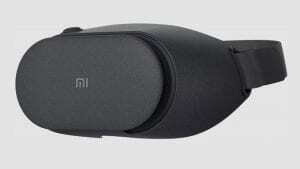 The headset is made up of foam which is pretty durable being the reason that the VR headset is travel-friendly. 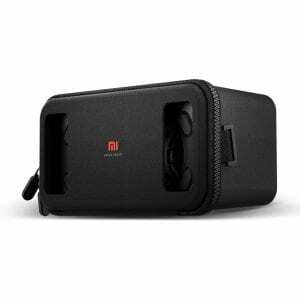 The VR headset has been the best smartphone VR headset for quite some time soon after the Gear VR and hence I would highly recommend the VR headset for iPhones. The Merge VR opens up a slot right in front of the camera of the phone so that you can even enjoy AR experiences. The Merge VR Cube is another addition to this VR headset technology which is specifically designed to enjoy AR experiences. The dedicated app on Merge VR is by far the best-dedicated app on any VR headset except the Gear VR and Google Daydream. Most of the other VR headset get away with their dedicated app and have videos and apps that are anyway available for free on the Internet. With the VR Start, you will find some content that is a little different from the lot out there. So, when it comes to the dedicated app, Merge VR has definitely got it all! The major downside with Merge VR is that the phone can get really hot and since the back of the phone is not open, the heat tends to stay inside the headset. I would recommend using cooling pads to keep the phone relatively cooler. 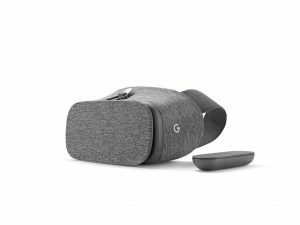 Daydream VR is a VR headset by Google and as much as this VR headset is for Android phones, you can still use it with iPhones if you want to get some quality VR content. The only reason I can recommend this VR headset is that of the quality of VR experiences on this VR headset. 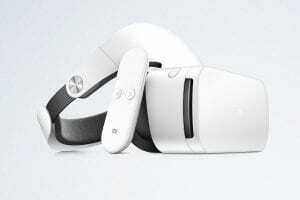 The specifications of the VR headset are great for viewing apps and images in VR. The experiences are very immersive and pretty realistic as well. If you want to use your VR headset to watch 360 videos or adult content with your iPhone then this one is perfect for it. Daydream VR has its official app and sadly the compatibility of the app is something that is specific to Daydream compatible devices. If you are planning to shift to Daydream VR compatible Android phone then this one is a perfect choice. However, the dedicated apps for this VR headset are not going to work with your iOS device and that is a bummer. Light bleeding from the corners of the VR headset that interrupts a person in having an immersive VR experience. 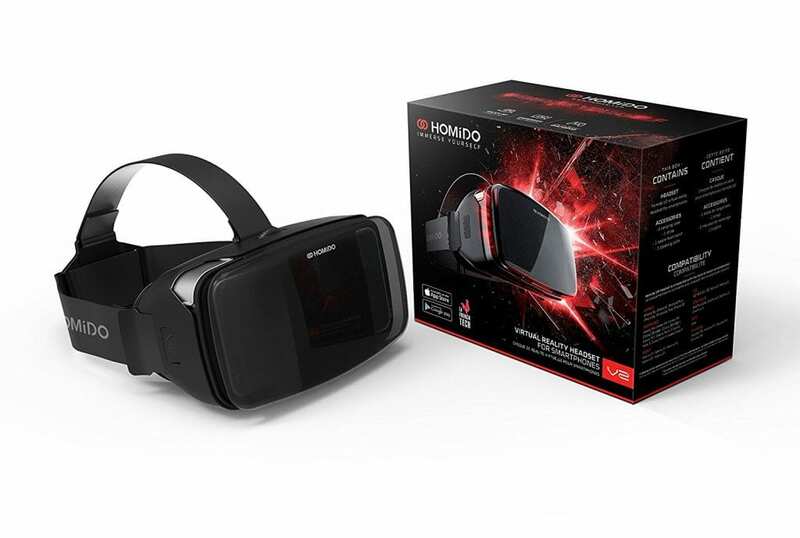 Homdio as been another leading company which produces great quality VR headsets. The Homido had a previous version as well which was okayish but the Version 2 of this VR headset which is currently available is pretty amazing. The VR headset looks sleek and comes with an amazing build quality. You might not find a lot of content dedicated to this VR headset but it does come with a feature where you can view content from your computer screen on your VR headset. The dedicated app on this VR headset is nothing amazing. It is the simple google play apps that you can play on any VR headset and there are no apps that are specific to the Homido VR headset. You can use the headset for all the other VR apps available on Google Play and even watch amazing 360-degree videos that are available on YouTube. The VR headset could have done a bit better with the apps. It does not even come with its own controller. Although this VR headset is pretty new, it is really great to use with iPhones. The headset has streaming features where you can stream the content that is being played on your computer onto your VR headset and enjoy most of the content on the headset. Not many people are happy with the dedicated app that comes with the Noon VR, the previous version of the Noon VR had an app and most of the content was taken from YouTube which I do not think is the right way. Users did say that the best way to use the VR headset is with Google Cardboard apps. 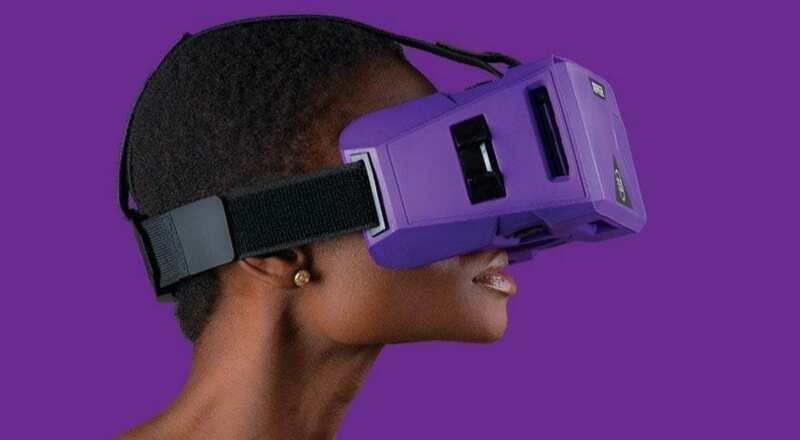 However, the stream feature was introduced so that the users could have more content to view in VR and this solves the content issue but in reality, most of the VR headset that promise the streaming feature are really not doing justice to it as the quality of the streaming is very mediocre. Overheats your phone pretty fast and you might want to invest a Bluetooth controller. These were the top picks we have for iPhones and I hope you like them, in case you want to ask anything about VR headsets for iOS devices leave them in the comment section below! Hello. Your article looks very interesting and describes brief details of VR headsets. 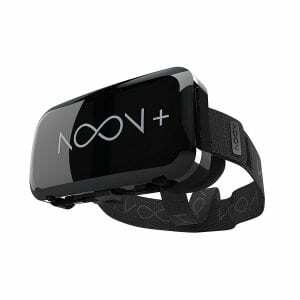 There is some things I want to know: Do all the VR headsets are compatible with all the Android smartphones? If a have a Samsung Galaxy J5, is compatible with these headsets, and which one do you recommend? You need to see if your phone is Gear VR compatible and I do not think the phone you listed is compatible, however to be sure read the Samsung Gear VR review on this blog to know more. I think you can go with the Merge VR for now! I never knew there were so many options that would boost my iOS VR experience. I bought a relatively inexpensive headset and have been sadly disappointed. I went in search of something better and am super glad I found this site! After reading your recommendations, I do believe I am going to try out the Merge or the Homido. I already have a Bluetooth controller. In your opinion, would you say the Merge is better all the way around for the iphone? Yeah, merge is pretty good for an iPhone. I have not tried a VR Headset, but I have heard they are amazing. Your Alienware Laptops are one of the best Gaming laptops I have ever owned. I play WOW and used to own an Alienware laptop. It had the fastest processor and an awesome video card. The best Gaming Laptop. I also like how you set up your reviews, they look very professional with a modern look. Wow, this was totally off topic but thanks that you liked the review! Hi Shrey,I am a big fan of VR from the beginning of the development these products.I think they are fun and useful tools and I’m glad they made these for smartphones too.I would like to buy one but before that, i would like to know is there any compatibility issues with phones and these devices, is there any phone system requirement for these products and which is the best Bluetooth controller I can use. Most of the phones are compatible and all you need is a phone size which usually ranges between 4.7-6 inches. Most of the smartphones follow this standard and there might be a few which are phone specific like the Gear VR. I find that VR is an awesome experience, and even though we are in the early days of this technology, I feel in the next 10-20 years it can revolutionize the way we view medicine, as well as entertainment. What do you recommend for cooling pads? Do they get too cool for phones? What technology do you see being improved in order to fix this problem, is it the headsets or the phones? Well, when the phones are in use they are going to get hot, all the VR developers could do is provide as much ventilation as they possibly can but till then you can use cooling pads and they are available on Amazon.